Find your story at the public library this summer by signing up for the summer reading program. 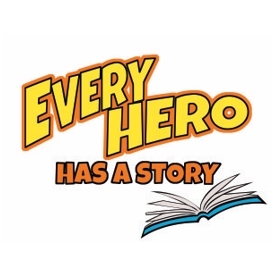 The Cherokee County Library summer reading program begins on June 1st and the theme for 2015 is “Every Hero has a Story.” Children and teens are invited to sign up at the Gaffney or Blacksburg library branches and various bookmobile stops. The reading program encourages kids of all ages to read during the summer by awarding them prizes for reaching weekly reading goals. They also become eligible to be entered in weekly drawings for fun prize packs for attending summer programs. The Gaffney library will celebrate the start of summer reading with a bang by hosting A Mini Comic Con Kick-Off Party for teens (ages 12-18) on Monday, June 1st from 3:00 – 5:00 pm at the Gaffney Library. There will be food, costume contests, photo ops, art creations, prizes and more. Stop, drop & roll your way over to the library on Tuesday, June 2nd and meet the firemen from the Corinth Volunteer Fire Department. Learn about what these local heroes do for our community and how you can be heroic in your everyday lives. This storytime is for all ages at the Gaffney library. In addition to its regular summer program, the library will host four special programs for families throughout the months of June and July. Ronald McDonald will be making his annual appearance on Thursday, June 11th. He makes reading fun for everyone by using humor and music to tell heroic tales. Ronald will be appearing at the Gaffney library at 10:30 am and at the Blacksburg library at 2:30 pm. Thursday, June 23rd the library is showing a Family Movie Matinee! Bring your family to the library to enjoy a free PG rated movie. The show begins at 2:30 pm at both libraries. Experience an out of this world storytelling event with Tim Sonefelt on Tuesday, June 30th. This interactive program features puppets, comedy, magic and explores all sorts of heroes. He will be appearing in Gaffney at 10:30 am and Blacksburg at 2:30 pm. On Thursday, July 9th become part of this heroic story as Porkchop Productions Theater Company performs the famous folktale, Stone Soup. Sometimes, it takes a hero to make a village and the greedy residents of the village of “Mine” are in for a rude awakening. Summer Reading participants will celebrate their reading accomplishments at to our Superhero Finale! This end of the summer celebration will be Friday, July 31st from 10:30 – 1:00 pm. So dress up in your hero gear and head to the library for a fantastic day of hero games, contests, and prize giveaways! The event is open to all our superhero readers.